A third California lawmaker has resigned in the past month from the state Legislature. Democratic Assemblyman Sebastian Ridley-Thomas announced Wednesday he will step down this week for health reasons. Ridley-Thomas, 30, says he’s had five surgeries this year—the most recent last week—for an unspecified health issue. In a statement, the third-term lawmaker says he can’t keep up with the travel, long hours and stress of the job while recovering. 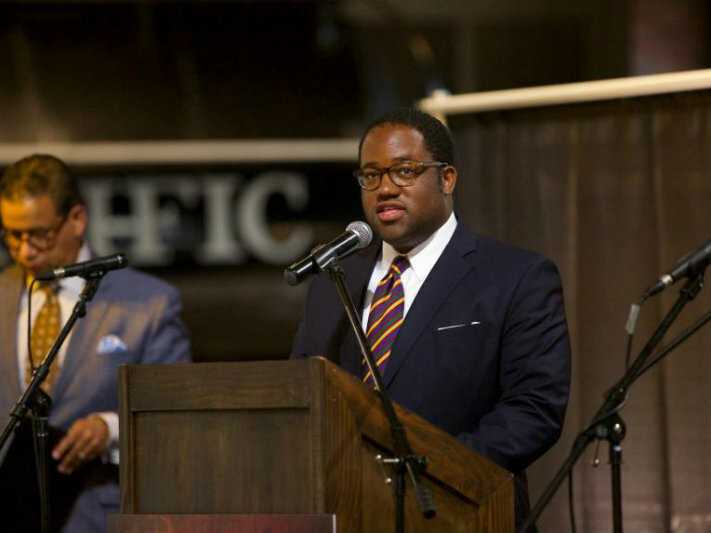 “When I resume public life, I intend to remain active in civic affairs, where my passion lies,” Ridley-Thomas said. His resignation follows that of two other Democratic Assemblymen, Matt Dababneh and Raul Bocanegra, who stepped down after allegations of sexual misconduct. That leaves Democrats two votes shy of the two-thirds majority it enjoyed at the start of this session, at least until the state holds special elections for the seats. Gov. Jerry Brown has called a special election for Bocanegra’s seat in June. Earlier in the year, Assemblyman Jimmy Gomez, also a Southern California Democrat, vacated his seat, after his election to Congress. His replacement, Wendy Carrillo, was sworn-in on Dec. 16, after winning a special election for that district.